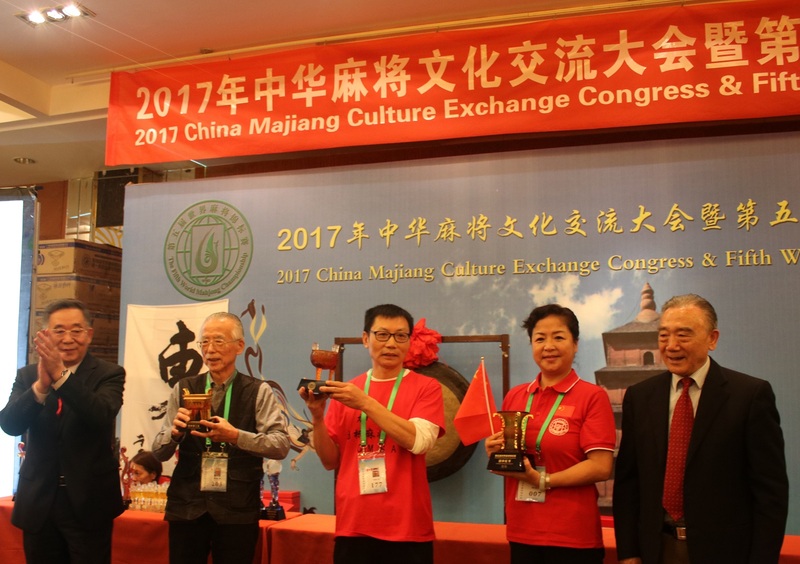 China Majiang Culture Exchange Congress and Fifth World Mahjong Championship was held at Xi'an Grand Dynesty Culture Hotel on Oct. 25, 2017. 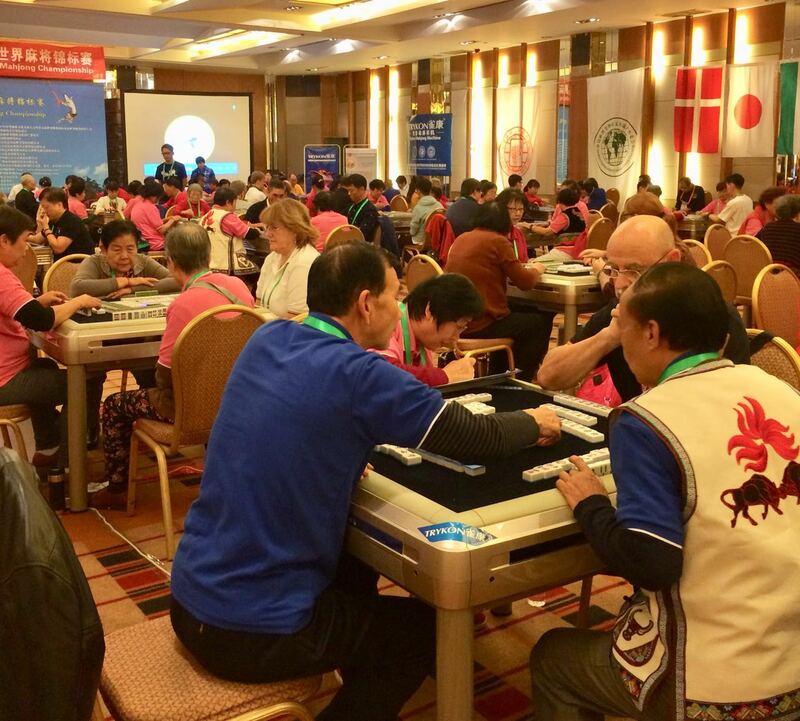 228 players form Japan, Ausria, France, Italy, Russia, Singapore, Canada and China participated. 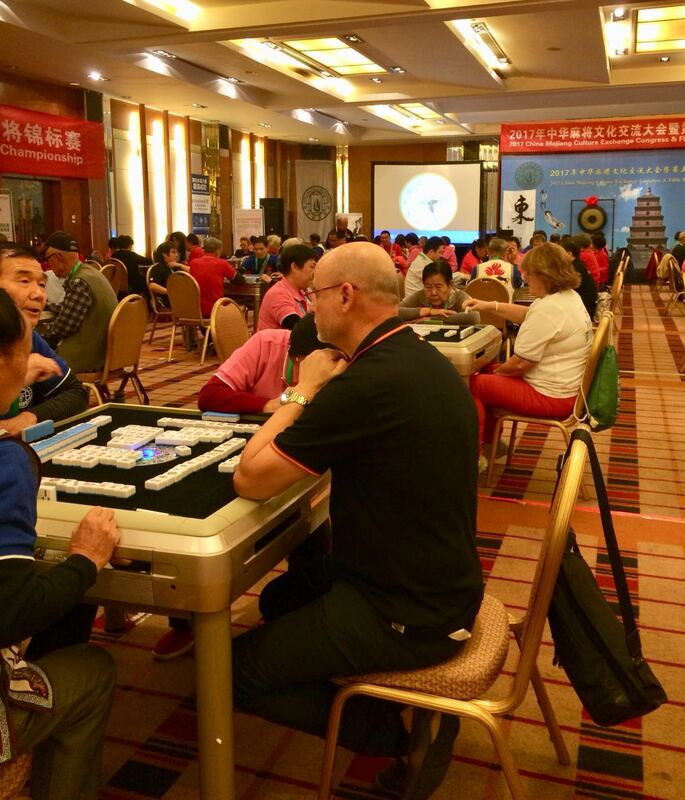 It is most platers ever Championship. 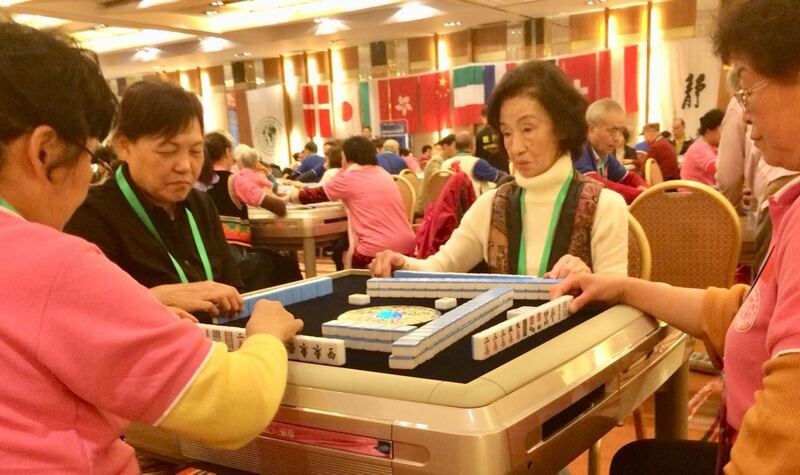 Most senior player is 86 old man from Henan province, most junior player is a high schooler from Japan, age 17. 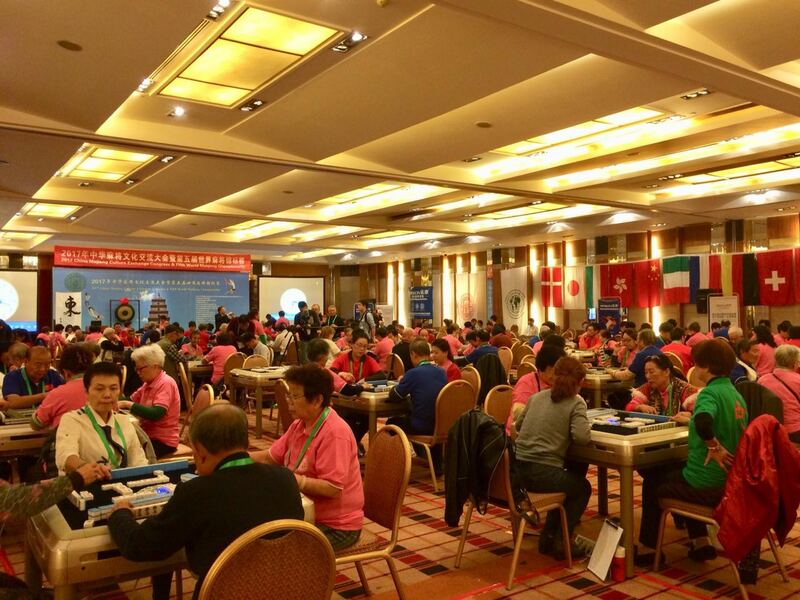 After 10 seesions play, Championship conclued on Oct. 28th. 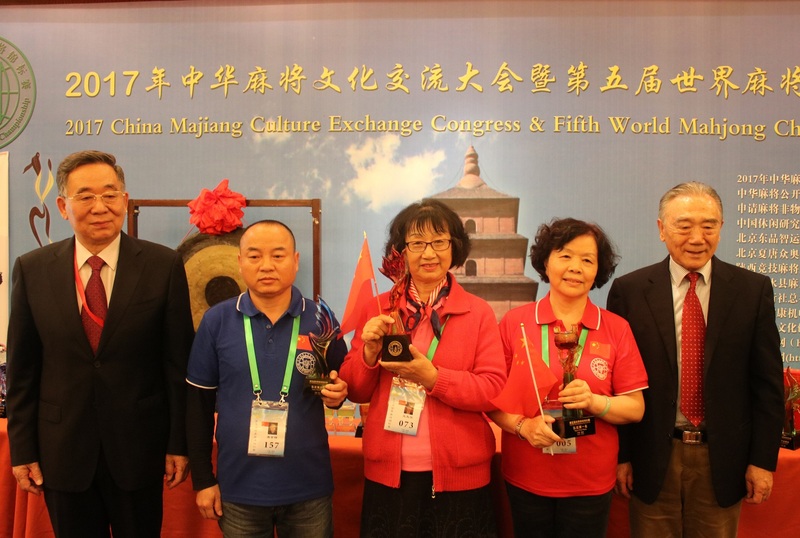 Champion is Ms. Chen Baohua of Shannxi, China. 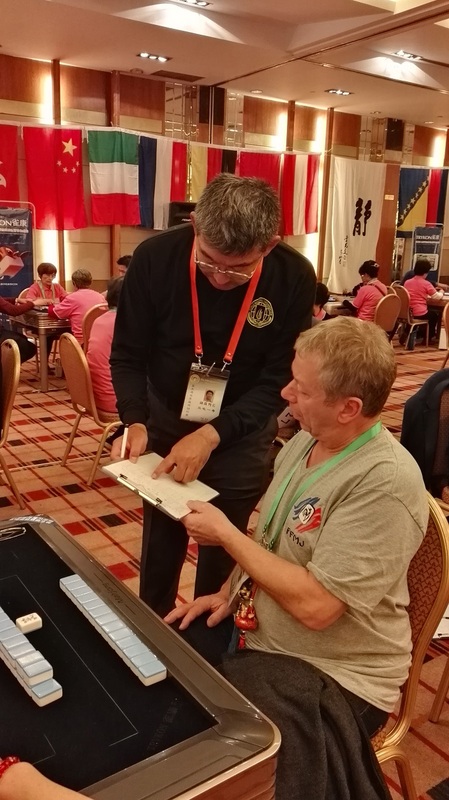 Runner up is Mr. Jo?l Ratsimandresy of BAJA Rose from France. 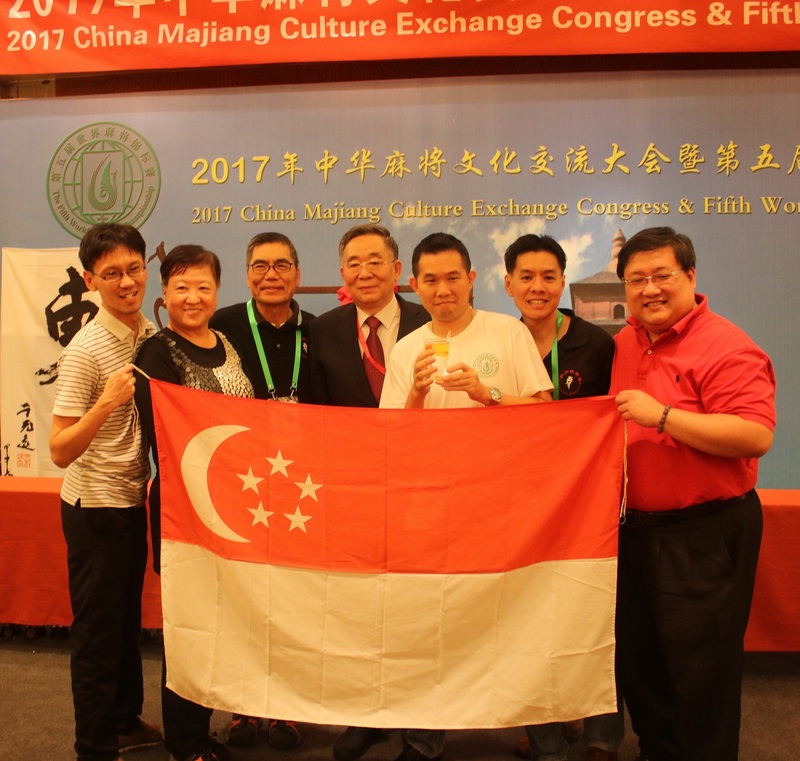 Jianzhong Jiang of First Canadian Team is third place. 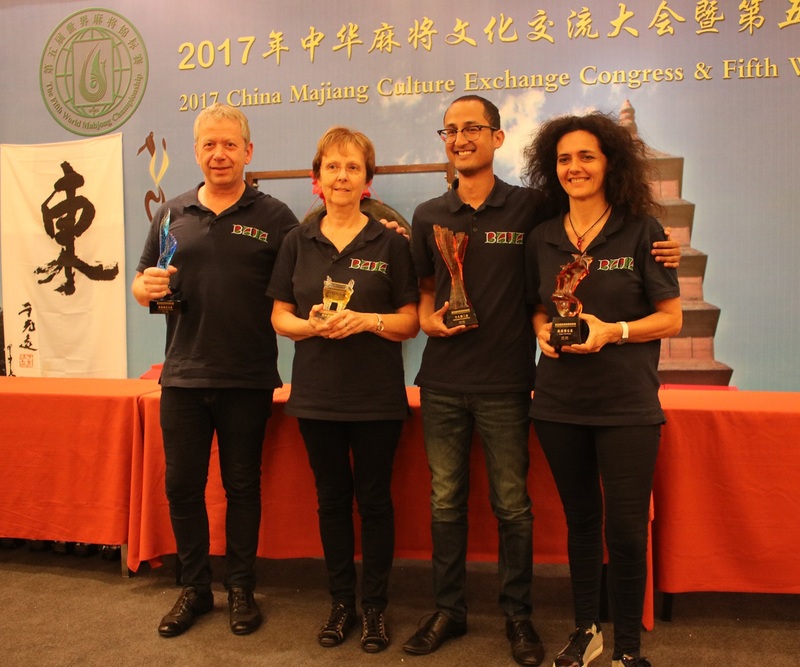 Team Champion is China Trykon MCR Team. 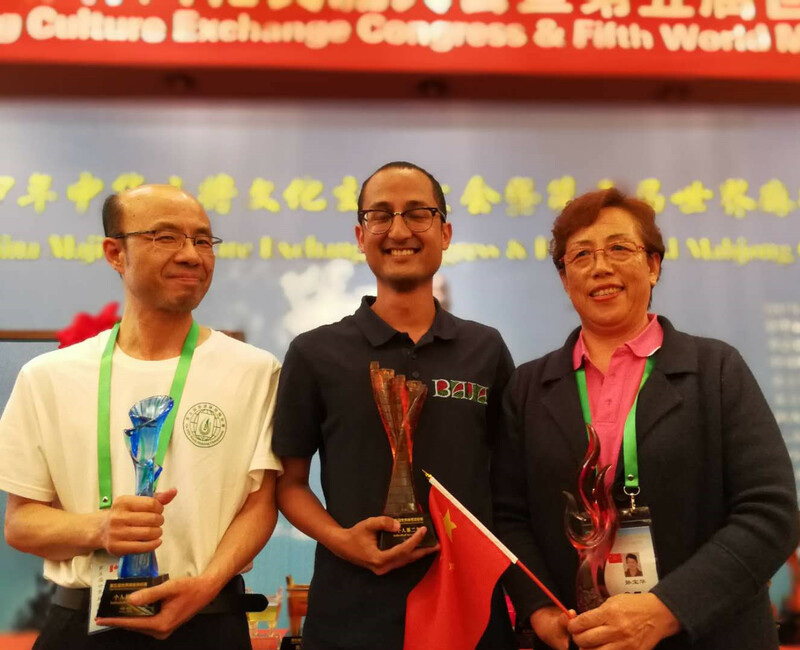 Team Runner Up is Shannxi Taiyuan Yingzi Team. 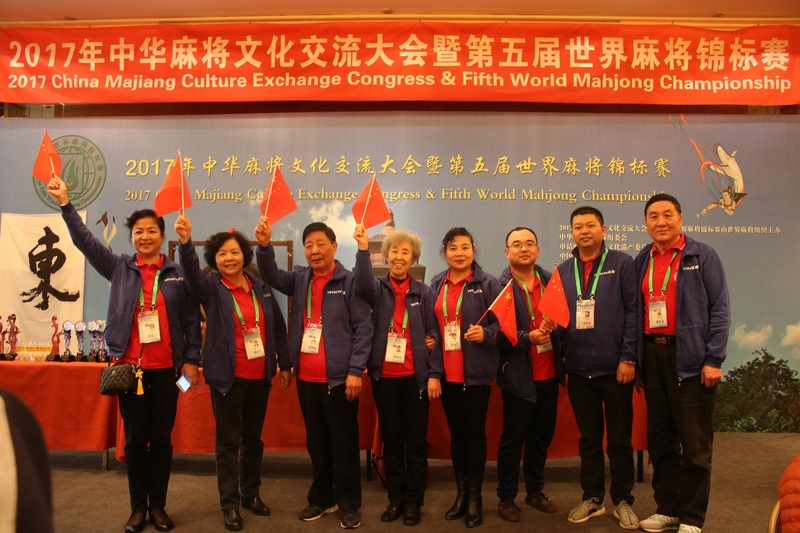 Team Third Place is China Guizhou Team. 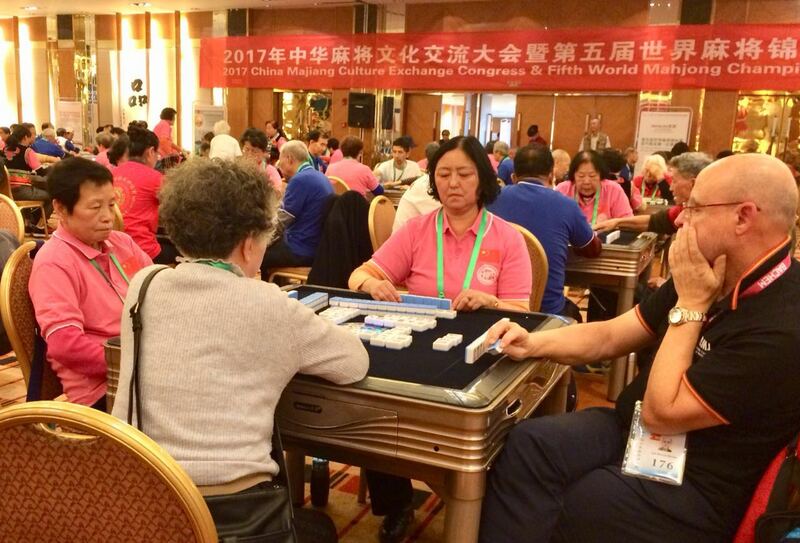 China, Canada and Japan has first three places of Countrise and Reigons. 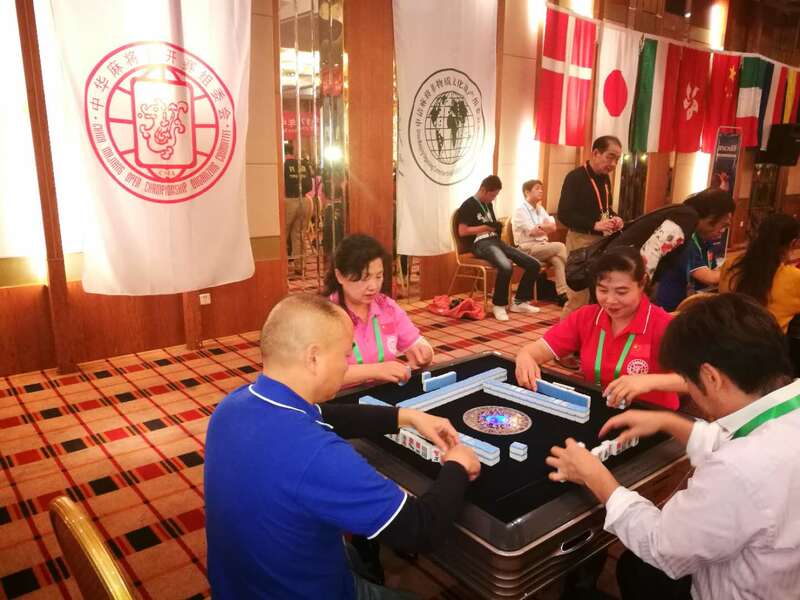 Conference for the Chinese mahjong culture inheritance and dissemination of the groups and individuals contribute a trophy and certificate, to pass the exam to obtain the certificate of qualified personnel with a referee. 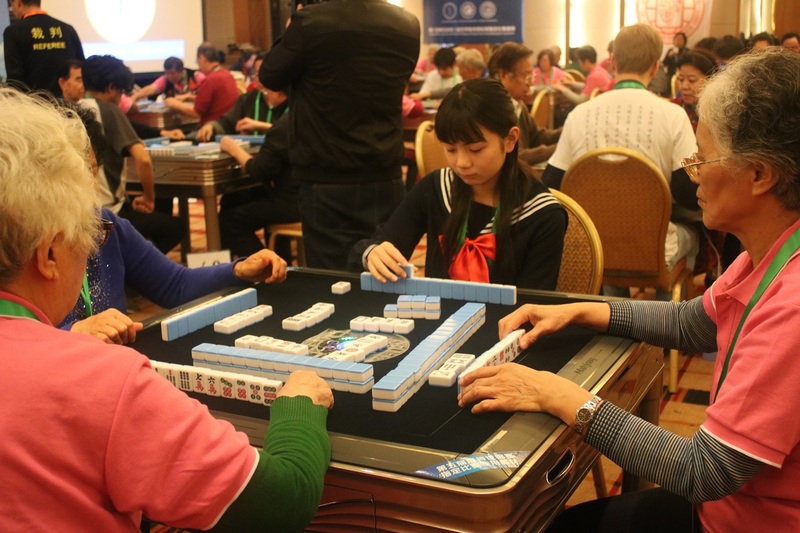 The world mahjong championship before the Chinese mahjong culture communication conference, during the study group competition to mahjong rules the world mahjong organizing meetings, regression and held the mahjong museum exhibition.